Berlin Travel Information - Berlin Private Tours supplies useful tips for preparing your trip to Berlin. Berlin still has 2 functioning airports (until they ever finish the new one!). Find all information on both Schönefeld and Tegel, as well as departure and arrival information. 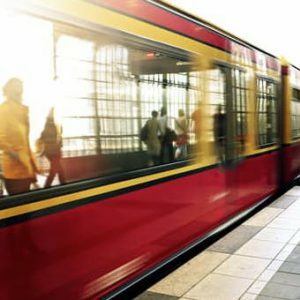 Berlin’s transport system is quick, cheap and efficient. Tickets can be bought at machines (press the language button for english). Details about tickets and offers. The Reichstag is one of the most iconic parliamentary buildings in the world. If you want to visit you do need to book in online, which our concierge services can easily do for you. In most restaurants and taxis 10% is considered a reasonable tip, although in some high end hotels a little more is expected. Taxis are reasonably priced and always on the meter in Berlin. From Tegel to Alexanderplatz should cost around €25 and from Schönefeld around €35 excluding extra charges such as bulky luggage or night loading. The Philharmonic gives free lunchtime chamber concerts in the foyer on Tuesdays at 1pm (get there early though). Concerts are often sold out well in advance when Simon Rattle is conducting. Check what is available on the philharmonic website. Featuring the former symphony orchestra, you can find details (unfortunately only in german, but fairly easy to navigate) of concerts in this historic building. Berlin has more than 170 museums and 300 art galleries. For some of Berlin’s most visited museums such as the Pergamon or the Neues Museum it is advisable to book in advance in peak season. Also possible through our Concirege service. Hotels and good restaurants abound in Berlin, magazine sites or review sites are often useful to get an idea of what is available. You can also ask our Concierge service for recommendations based on your tastes and budget (this service for free when also booking a private guide).